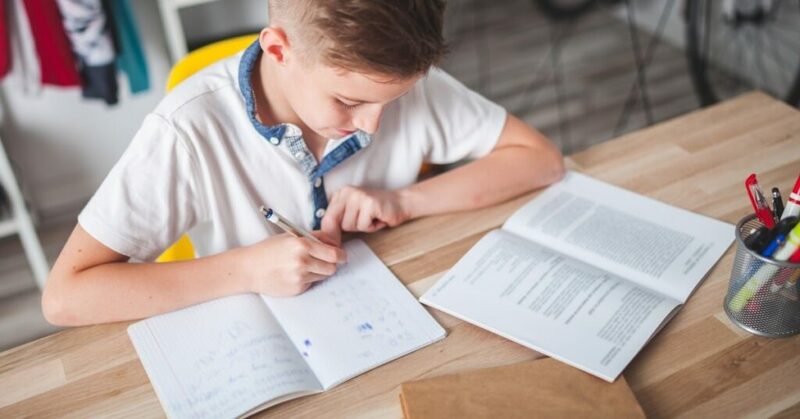 Help your children develop good study habits with these seven essential tips from a former teacher and mother of three. We had just returned home from school pickup, and he was understandably eager to leave the classroom behind and let the fun begin. Still, I had to make sure of one thing before I let him briefly decompress in the video game world. “Do you have any homework?” I asked, as I unzipped his bag and pulled out his agenda book. “Nope,” he answered, untangling the PS4 controller from the nest of wires it had been sitting in. I skimmed the two assignments written in the day’s log. Read for 20 minutes. The nightly reading assignment. We’d do that later, as we snuggled just before bed. Bring in money for hot chocolate day tomorrow! An exclamation point to boot. Better not forget the 50 cents for that. I set the agenda book on the counter and opened his take-home folder. “Hey, hon, what’s this?” I asked, pulling out a sheet full of 20 words. “Well, that sounds like homework material,” I responded. As it was Monday, I could see why he figured he needn’t worry about it until later in the week. But I couldn’t let the former English teacher inside me accept that seemingly simple answer. It’s common among kids – and probably most human beings – to do little work and expect big rewards. Since becoming a parent, I’ve realized that there exists in our children a natural tendency to do what’s easy, shirk what’s hard, and hope that’s enough to get by. I also learned early on that it’s our job as parents to hold our kids to a higher standard. To help them see that although they can skate by on mediocrity, doing so doesn’t usually result in outcomes they’d be proud of. This wasn’t new to me. As a former student myself, I attempted the same feat of putting off until the last minute the reading, studying and writing that needed doing. And in my career as a teacher, I witnessed the same dynamic in my students. As such, it was my job to instill in my students study habits that could offer them better chances of success. Now, in my vocation as a parent, it’s still my job to teach my kids habits they can adopt as their own while still young, so that, hopefully, they’ll become a natural part of who they are when they’re older. The goal isn’t just to help them earn an A on the next math test. Of course, that’d be great. 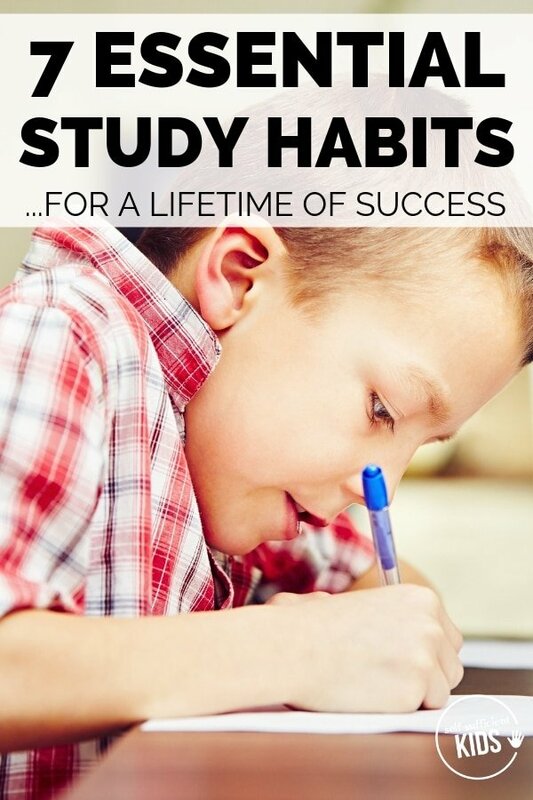 But the ideal outcome we parents hope for in instilling good study habits now is that our children have a better chance of long-term success in the future, particularly when we can no longer be there holding their hand through the process. The year my son first started getting daily homework, we did some experimenting. Initially, because the assignments were never anything more than a single, simple math worksheet, I let him play awhile after school before settling down to complete it. It rarely took him more than five minutes to do, so it was something we could squeeze in before or after dinner without difficulty. As he got older, however, the homework got harder and took longer. I noticed it was difficult to pry him away from his chosen after-school activity without some pushback. Doing homework around the dinner hour also upset our routine for the rest of the evening. Bath and bed time got delayed, which caused mornings to become more difficult. So, we attempted and settled into a different schedule. After school, my son had a snack and then delved right into his homework, before any playing began. The more he focused on his work, the quicker it was done. The sooner it was done, the more time he had left for play before dinner. without some dreaded activity looming at the end of it. Not all kids are mentally ready to dive into homework immediately after getting home from school, though. Some need a short break from the stresses of the day. Others have activities and commitments after school and can’t realistically tend to their homework until later in the evening. 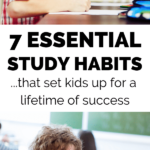 Whatever your circumstance, it is most important that, as much as your family schedule allows, you create consistency to develop good study habits. People who adhere to a routine are shown to be more efficient, to procrastinate less and to have more self-confidence. When it came to my son’s spelling list, he made sure to tell me, “We don’t ever have to do anything with the words.” Meaning they did a few spelling assignments in class but never had any official homework associated with the list. According to my son, they received some unimportant word list every Monday with which they never had to do anything…except for that pesky little spelling quiz every Friday. After a couple of weeks of less than stellar quiz grades, I told my son now that we’d tried it his way, we would start doing things my way and see if that improved his spelling scores. Every day, we did a simple practice quiz with the spelling words. Some days, he’d have to spell the words by carving them into a blob of playdough. Other days, he’d practice them in the bath, using his colorful foam letters that stick to the bathtub walls. And, sometimes, his practice would be as simple as writing them in colorful chalk markers on our little chalkboard that hangs in the kitchen. Any words he spelled incorrectly, he’d need to practice again until he got them all correct. That first week, he earned his first perfect score on a spelling quiz. He learned from the experience that just because something isn’t required – or, even suggested – doesn’t mean you don’t do it. Some kids like to do schoolwork at a desk in their room. Others prefer not to be so isolated. My son’s favorite place to do his work is at the kitchen counter, where he sits across from me as I cook dinner at my island stove. It’s an ideal place since I’m easily able to redirect him to his work when he gets off task, and I’m near at hand to help when he gets confounded. But, it’s a challenge in that I need to work extra hard, particularly with two little ones around, to minimize distractions. If you haven’t already done so, help your child find a regular place to do her work, based primarily on her needs and desires, but also on the needs of you and your family, too. Regardless of where your child studies best, it’s important to lessen distractions since studies show they reduce a child’s understanding of the concepts being learned. Write it and recite it. In all my years of teaching and tutoring, I have found one good study habit to be invaluable for all types of students: flashcards. They work so well because they require the student to both write down and verbally recall the information being studied. As such, they appeal to the visual, kinesthetic and auditory learner. My son never wants to study his spelling words by writing them down. “Can’t I just spell them out loud to you?” he asks. But, studies show that when we handwrite our notes and what we’re studying, we better retain the information. So, I have my son write his words down. But I don’t end there. Much to his chagrin (and much like a spelling bee), I have him recite to me aloud what he has written. Why? Because studies indicate that when we recite aloud what we’re studying, we also better commit to memory what we’re reviewing. The great thing about flashcards is that they require a child to both handwrite and recite the information being studied. I vividly remember the first time I drank coffee. I was pulling an all-nighter before final exams my freshman year of college. My roommate and I were cramming in all the Italian our brains could hold, and by 4 a.m., we needed a boost. It’s typical of students (and humans, in general) to procrastinate and then, at the last hour, try to complete the large, delayed task in one long sitting. But it likely comes as no surprise that studies show this attempt at retaining information is less than ideal. In his book, Your Memory: How it Works and How to Improve It, Dr. Kenneth Higbee asserts that while cramming material into your brain might get you through the next day’s exam, it’s a very poor way of getting the material to stick around for the long term. I learned that the hard way through my college Italian cramming experience. Sure, I did okay on the final, but can I speak the language now? Only very poorly. After nearly pulling my hair out too many afternoons in a row, we reversed the order of his assignments, checking off the hardest ones first and saving the more fun ones to be done as a reward at the end. Yes, my son still complains that these are “boring”, “annoying”, or “too hard”, but the trying work typically gets done much more quickly when it’s done first. It’s not always easy to get our kids to adopt good habits that they really don’t want to do. That’s why it’s important we make whatever practice we hope they own in the long term a routine we start doing in the here and now. In other words, don’t limit these study habits to studying. Make it a part of daily life. Do your own difficult tasks before the more fun ones. Let your kids know that you’re getting the housework done first, so you can fully enjoy playing with them later. When you make grocery lists, let your kids see you writing the items down as opposed to committing them to memory (even if you can). If you have your own big projects to complete, work on them a little at a time. Bonus if you can somehow nonchalantly make your family aware that you’re doing your best not to save the whole task to the last minute. For this – infusing the important lessons and practices into our daily life today – is the most effective way we help our kids carry them into their future. After nearly a decade as a high school English teacher, Michaelyn Hein left the classroom to become a stay-at-home mom, writing tutor, and freelance writer and editor. She holds a B.A. in English and M.A.T. in English and Secondary Education. 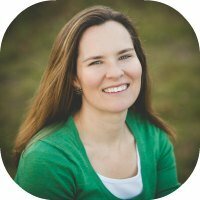 Michaelyn has been a regular contributor to Tender Tidings, and its parent website, Catholic Attachment Parenting Corner. Her work will also soon appear on A Fine Parent. 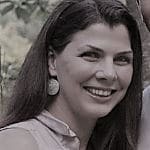 Michaelyn resides in New Jersey with her husband and their three children.